April | 2017 | Larval Subjects . A central claim of Deleuze’s Difference and Repetition is that we only ever create something new through repetition. Here, then, we might encounter a fundamental difference between Badiou and Deleuze (or is it a proximity between the two?). For Badiou the new is created as a result of a truth-procedure that is evoked through fidelity to an event. We don’t, in fact, have to await events as people sometimes suggest of Badiou; for there are plenty of events that have already occurred throughout history. It is not the event that produces newness in Badiou’s universe, but rather fidelity to that event and the transformation of a situation or world in terms of what is uncounted by the encyclopedia of that situation. One can continue to pay fidelity to the Paris Commune or May of 68 (if the latter was an event) today, unfolding its consequences in the present. In seeking to live as resuscitated Romans, the revolutionaries do not simply repeat what the Romans did, nor do they imitate the Romans. Rather, they encounter a specifically Roman problem or, perhaps, a Roman dream, that they must revitalize in the present. 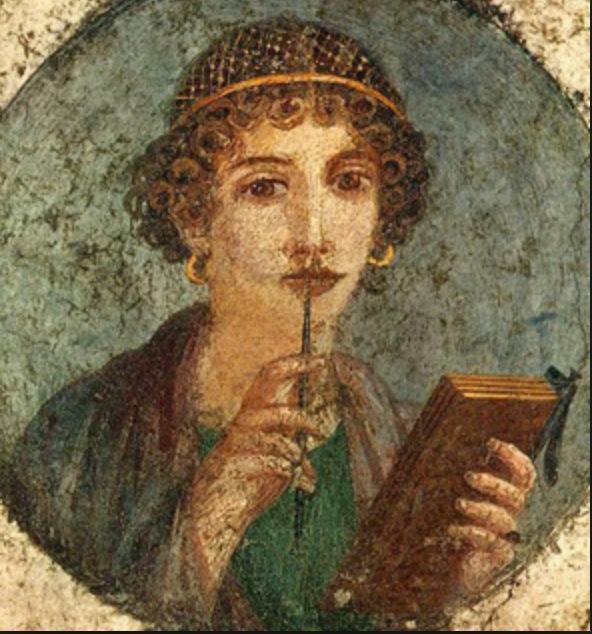 The world is a different place in the present– populated by different peoples, technologies, modes of production, religions, and geographies –generating a new set of questions and problems in response to “repeating Rome”. Rome becomes something new in this repetition. I’m not sure how, exactly, to write this post nor how to put into words what I’m trying to express. It all sounds so trite when I put it to paper. I’m not sure if there’s something wrong with me for thinking this is a sort of revelation or something wrong with me for having this sort of revelation. I think it’s an experience of what Lacan calls the “real” in one of its variations, but who knows? Every so many years I have a sort of “revelation”, not unlike Pascal’s horror before the infinite, that hits me like a kick in the gut and that sends me reeling. I’ve never fully understood it, still struggle to understand it, and it sounds trite and obvious when I put it into words (interpretation: I feel very vulnerable talking about this). It happened, perhaps, for the first time when I was 14 or 15 years old; though I remember experiences as far back as kindergarten. I had recently moved to a new town and my friend was coming to visit me that day. I was very excited to see my friend as I was lonely in this new town. As I recall, at the time, I was reading Sartre’s Nausea or Heidegger’s Being and Time. As I was standing at the locker to get my books between classes, it suddenly hit me that as he was driving he was experiencing and thinking entirely different things than I was experiencing at that moment. We were somehow a part of the same world, yet entirely different and disparate worlds at the same time. And then it washed over me. This wasn’t simply true of me and my friend, but of everyone in that bustling hallway, everyone on the road, everyone on the planet. All of us are seeing a different world, interpreting things differently, noticing different things, and are filled with different desires, longings, worries, anxieties, loves, hatreds, and all the rest. We seem to occupy the same world, but really it’s a pluraverse, not a world. I was overwhelmed to the point I could hardly breath. The world that had once thought was common or the same was really a set of– as Deleuze says –divergent series without any sort of overarching unity. A trite observation. Sure, I had known it. I still know it. Yet what was different about this traumatic experience was that I really felt and experienced it. 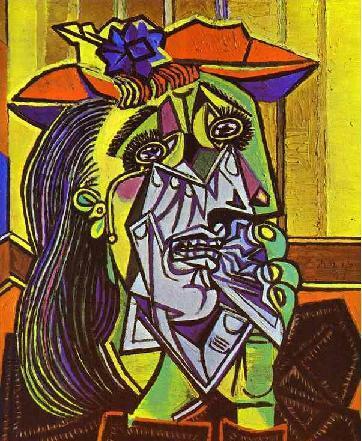 I experienced the dissolution or the collapse of the world in this plurality of perspectives. 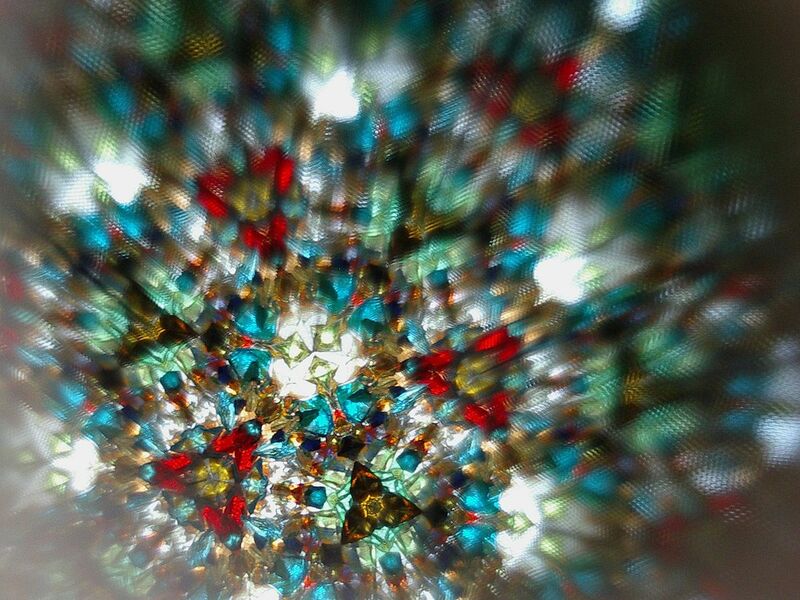 I felt it’s collapse into a chaotic kaleidoscope without unity. I once knew a person who had been raised as a rightwing Christian fundamentalist, a real true believer, and that then became a Marxist atheist in college. The curious thing was that while the content of his beliefs had changed radically, the form seemed to remain the same. He still had a very binary way of thinking organized around the friend/enemy distinction, privileged group allegiance against a “them”, and was incredibly self-righteous and moralistic, filled with a passion to denounce and judge. He just now had a different framework for doing so. This is why real change, I think, can’t simply be a change in content, but must also be a change in form or structure. The pattern itself must change. If the form of thinking and practice remains the same, it matters little how we’ve changed the content. It matters little whether we place God, the king, or a dictator at the top, we still have structurally identical systems of power that re-enact the system of alienation and oppression. Changes in content aren’t enough. We must also always seek to transform the structure. In raising my daughter, I think to myself that it’s not enough to teach her to reject racism and patriarchy, but that I must also take care to teach her not to think in terms of the friend/enemy logic, the sad moralistic desire to judge and denounce, and authoritarianism. How much have I really accomplished if she’s just an authoritarian of a different stripe? This is what I mean by a-theism: not a denunciation of the existence of god, but of the very structure of authoritarianism and patriarchy as a cognitive and social form. Theism is just one variant of that form of patriarchy and authoritarianism. A brief post before dinner for thoughts that need to be developed in greater detail. In an interview somewhere or other I vaguely remember that Derrida says that his project, from beginning to end, is an interrogation and deconstruction of narcissism. Given Derrida’s profound critique of the logic of identity, this comes as no surprise, for while identity is a postulate at the heart of Western philosophy (consider Parmenides or even Plato’s divided line) that functions as a logical axiom of truth and being (A = A), it also goes to the heart of our being as egos. In this connection, we could say that the thinkers of that beautiful French moment (Derrida, Deleuze, Irigaray, Foucault, and perhaps Lyotard), the thinkers of difference, are each in their own way addressing the problem of narcissism and its political effects. Here I cannot help but think of Lacan and his analysis of the logic of the Imaginary, the logic of the ego, and the extraordinary trajectory of thought in Freud that runs from “On Narcissism”, “Mourning and Melancholia”, The Ego and the Id, and above all Group Psychology and the Analysis of the Ego. What is it that Freud, above all, teaches us? Freud teaches us that narcissism, far from being a love of self, a love of ego, by the ego, is a love of self by the other. Freud’s primary narcissism is not a love of self by the self, but is the voice of the other, of the parents, telling the infant how wonderful or horrible the infant is. The infant internalizes that voice to continue to love itself in the absence of the other, torturing itself or praising itself through that foreign voice that so disrupts its mythical and originary psychic economy. In Aesop’s Fables, Narcissisus is not captivated by himself, but by the image of himself; an image he can never fully embody or live up to and an image that is above all an image that is available to the other that beholds him. 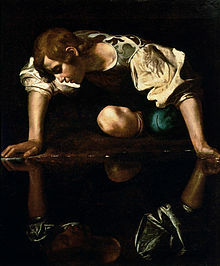 This is why the first primary narcissism in the fable of Narcissus is not his image in the pond, but the gaze of the woodland Nymphs that he rebukes and denies so cruelly before he is captivated by his image in the pond. As Rimbaud said, to quote what is now a cliche, “I is an other”. In Group Psychology and Analysis of the Ego, Freud teaches us that the ego is the result of an identification with an image and a gaze, and that the ego gains a lacking ontological substantiality through its identification with the dear leader or movement or party or nation or any number of other things. Through this alienating identification we are given an ego or a self that supports us, but with an image the likes of which we can never fully coincide. We thus discover that at the heart of the ego is love or the amorous relation with an other whose gaze captivates us. To say that the project of deconstruction is the deconstruction of narcissism is to also say that deconstruction is the deconstruction of the illusions of captivating love– an unhealthy love –that leads to idealization of that gaze of the leader, party, movement, nation, or privileged signifier. And here, of course, we get the Lacanian discourse of the Imaginary. For what do we find at the root of the imaginary? We find antagonism. The more we strive to coincide with the frozen image that is the ego, the more antagonistic our relations with others become. From the ego, from identification and captivation in this unhealthy form of love (there is another type of love that is not lethal or narcissistic) we encounter nothing but strife, conflict, antagonism, and war. The more we try to coincide with the captivating image and gaze, the more we need an enemy with whom to engage in with war. Nationalism must thus always go to war with other nations, identity must always vilify other identities, identification with a favorite philosopher must always lead to war with other philosophers over territories, and all the rest. The political question would thus, in part, be of how to envision a politics beyond identification, the ego, and narcissism? For me there are two fundamental questions that animate my thought: The question of this lethal love and how it is at the root of so many of our antagonisms or the question of a beyond to Schmidt’s friend/enemy political logic (how is a politics without fathers, an anarcho-politics possible?) and the question of how persuasion is possible (something that arises from my own childhood traumas). The two questions are interrelated and both relate to the lethal and toxic form of narcissistic love that so distorts our thought. This post is really something that needs more nuanced and careful development than I’m able to give it this evening, but I at least wanted to get the basic framework written down as inadequate as it might be. Hopefully any readers I have will keep this in mind and be charitable. Throughout chapter 3 of Difference and Repetition— “The Image of Thought” –Deleuze targets the axioms or assumptions of what he calls “the dogmatic image of thought”. I cannot here develop a detailed commentary on these interdependent axioms (there are 8 in all). Among the postulates of the image of thought, Deleuze cites the thesis or assumption– many of these postulates are unconscious or so thoroughly pervade thought and philosophy that they aren’t even noticed –that error is the only possible misadventure of thought; that error is the sole error against which thought must protect itself. As Deleuze remarks, “[i]t is noteworthy that the dogmatic image, for its part, recognises only error asa possible misadventure of thought, and reduces everything to a form of error” (DR, 148). Perhaps the example of the New Atheists reflects this conception of thought. When approaching religion the New Atheists work from the premise that those who are religious suffer from a simple error or from a lack of truth. They have mistaken beliefs about the world and if we simply correct those false beliefs then people will no longer be religious. Hence the critique of religion proceeds under their hand through demonstrating the lack of evidence for these beliefs, their absurdity, that prayer has no power and so on. However, what if religion– if it a misadventure –is based on a far more profound misadventure of thought than that of simple error or falsehood that can’t simply be rectified through correcting falsehoods, pointing out contradictions, and demonstrating absurdity?